The Hair Lounge was established in March of 2011. Based on the belief that our clients always come first. 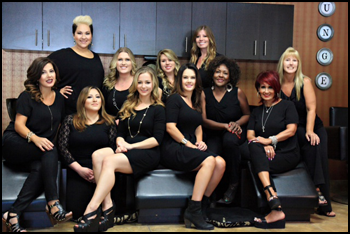 At The Hair Lounge, stylists share a strong commitment of impeccable service, continued education and professional growth. We pride ourselves on a casual and relaxed atmosphere. Our focus is on you and the effectiveness of our services. We invite and welcome you to experience why The Hair Lounge is unique. Copyright © 2015 The Hair Lounge. All rights reserved.